Let’s be real… time is money too. Grocery shopping can be an ordeal! We all have those times where we wish we could snap our fingers and a magic fairy delivers our groceries. Instacart is that extra help! If you are a NEW Customer, take advantage of this offer. You will get $10 off $10 on your first order.Save this for NOW or tuck it away for a rainy day when YOU need a grocery delivery option. You can feel good about saving a little money and saving your sanity! 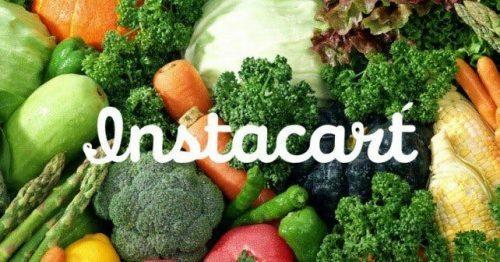 Customers go online to www.Instacart.com (Link will take you to get $10 off of $10) or open the Instacart mobile app (be sure to use code JSCHREINER1041FE to get the $10 off and the free delivery!) on their iPhone or Android device. Select their city/store, add items to a virtual cart, then choose a delivery window (within one hour, within two hours, or up to seven days in advance) and check out. An Instacart shopper accepts the order on his/her smartphone, uses the Instacart shopper app to guide them through shopping, and then delivers the order to the customer in the designated delivery time frame. Sign up here and get $10 off your first order. For Local Readers Capital District Readers – Instacart delivery is available from the following stores: Price Chopper; Market 32, PetCo & Aldi!